I know Jamaica well & wanted to buy a property near Mobay to retire. I think you have regulations for me to live there? For instance a friend there told me it's required to visit the local justices to make yourself known 6 months before living there? I am British (passport etc), originally from England live in France now for the past 13 years. It would be difficult for me to do that. Thanks again for asking. I've included a response from Maura, my personal friend and Jamaican real estate expert below. I'm also sharing it on the website for others to benefit from your question as well. 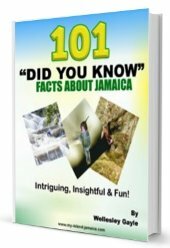 Any foreigner can buy property in Jamaica. If you plan to stay longer than 6 months at a time you will need to get a work permit or residency. After you buy property and in 5 years time you can apply for residency. I am an American that has lived on island for 5 plus years. I do travel back to USA every summer. Jamaica is a beautiful place to live and it is truly paradise. If you need help in finding a property please let me know. I will be back in Jamaica next week.